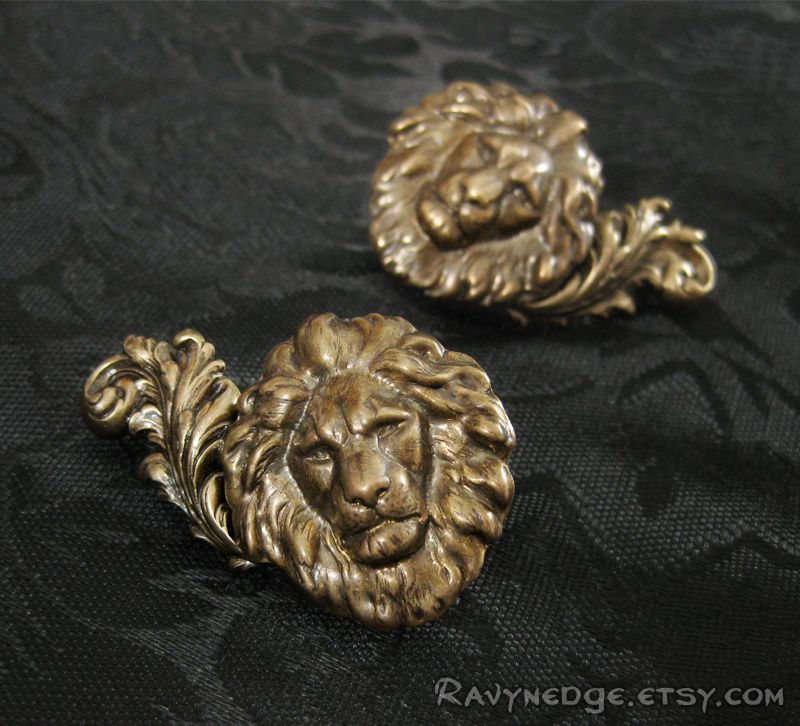 Regal Spirit Clip Earrings - Lion Head Clip On Earrings by RavynEdge. 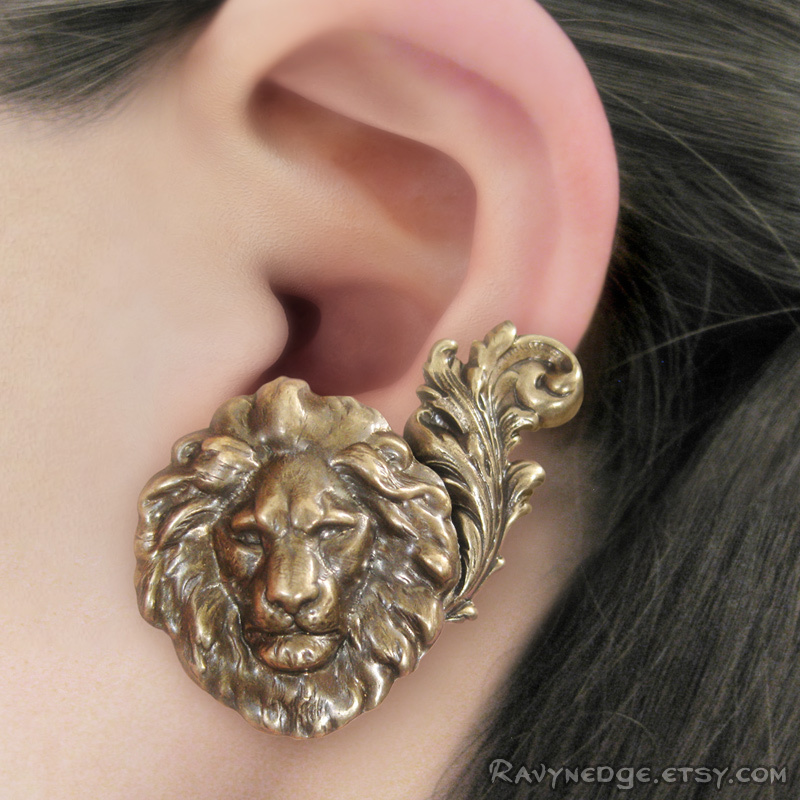 "Regal Spirit" is a fabulous pair of clip earrings that will make a bold and elegant statement. 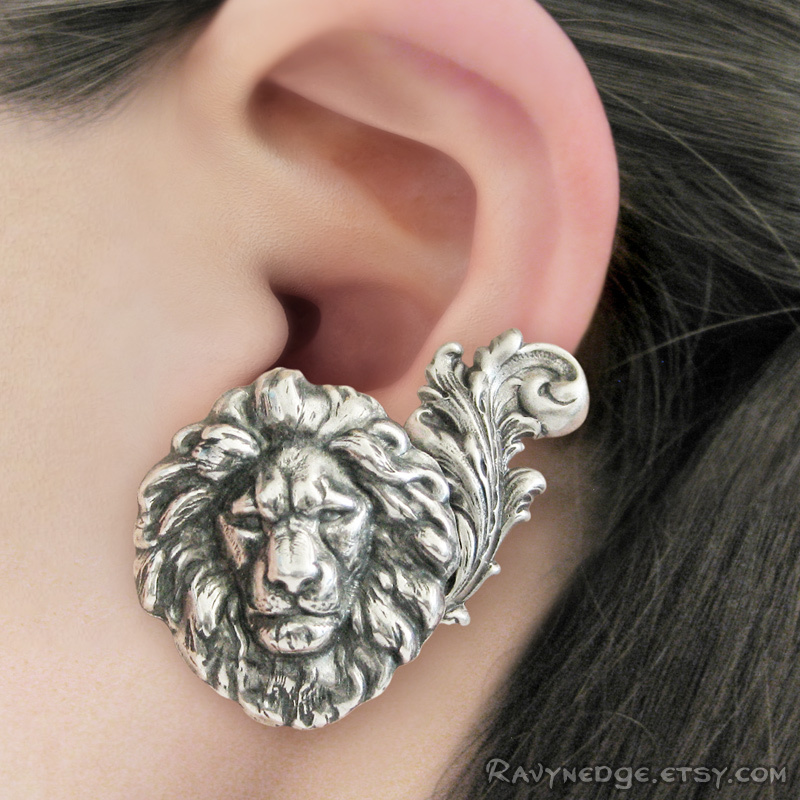 They feature the head of a noble lion and a majestic flourish that will sweep up your ear. This style is only available as clip earrings. Please note that these earrings are slightly heavier than my others. However, the clip is strong enough to hold them up while remaining comfortable...and they are very comfortable. The flat paddle base measures 14mm long and 5.5 wide. The clips have a tension bar which can be lifted, ever so slightly, to loosen them if they are too tight. 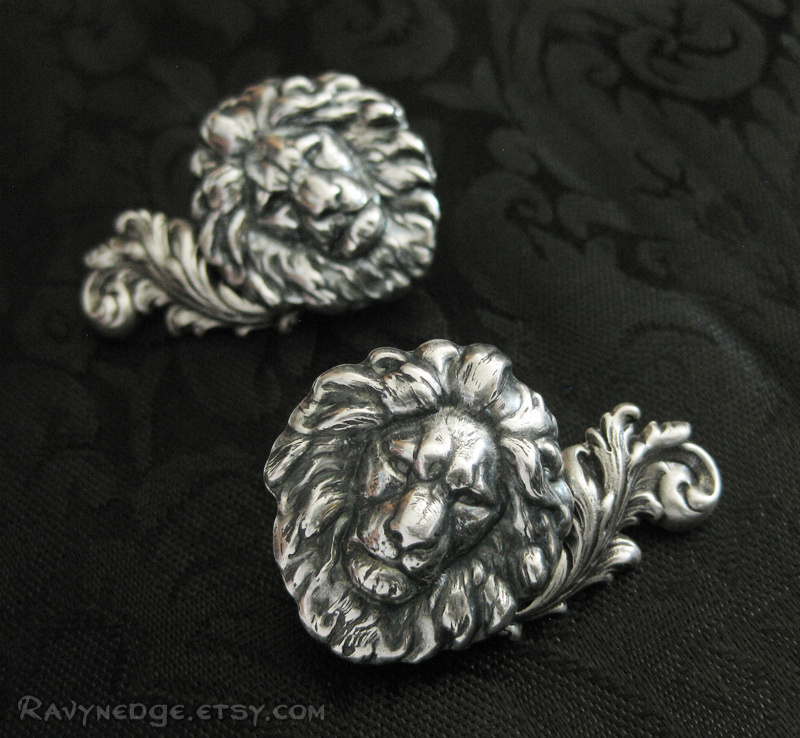 The earrings themselves measure approximately 30mm tall and 42mm wide. 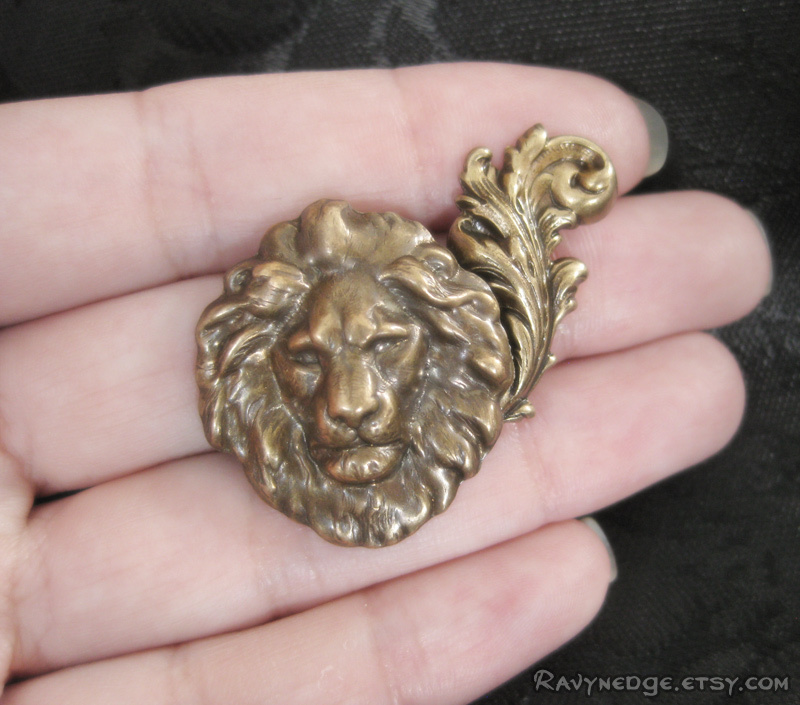 All the metal is brass or sterling silver plated brass, oxidized to bring out the amazing details. Nickel free and lead free.